Indoor Cycling Videos - four videos on USB flash drive! 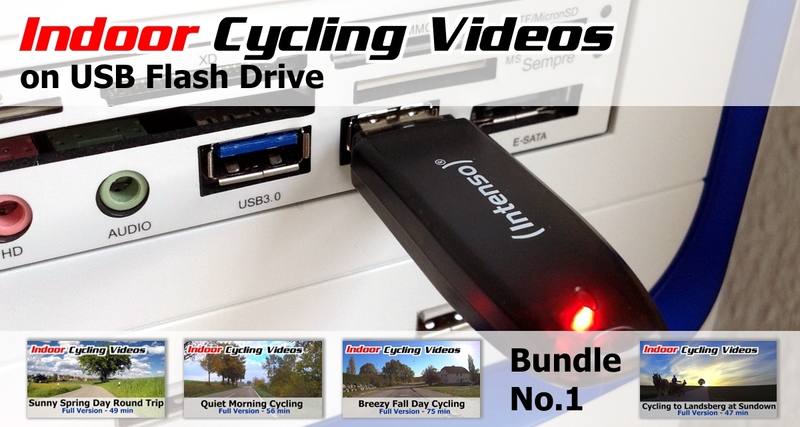 Great offer for WINDOWS users if your download speed is just too slow: Buy four cycling videos on a free 16 GB USB flash drive! Shipping is free! European customers: sales taxes will be added during checkout process. HD 720p: High Definition 1280p x 720p. This resolution is much better than DVD quality. Runs on most devices. Full HD 1080p: Full High Definition 1920p x 1080p. This resolution is even better! Runs on device with strong processor. Not sure if your device can play a Full HD video jerk-free? Check our recommendations or download a test video. You may show the videos to an audience at your gym or in your spinning class. Also check out our special packages for indoor cycling instructors (click here). Shipping time: 2 days to 3 weeks, depending on the destination country. Warranty for USB flash drive: As the USB flash drive’s purpose is only to serve as a medium to transport the videos, I’m not selling them but offering them as a gift for free. No warranty. You can keep the flash drive but if it breaks one day, I’m not replacing it. You absolutely have to copy the videos from the USB flash drive to your computer to make sure you don’t lose the videos in case the USB flash drive stops functioning. 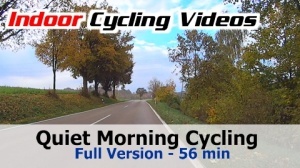 Buy four wonderful Indoor Cycling Videos!